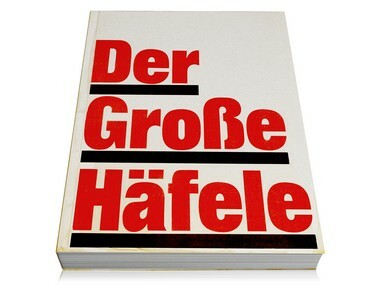 Häfele was established during a period of profound political and social upheaval. The Weimar Republic is just a few years old, and the consequences of the First World War are still evident everywhere. 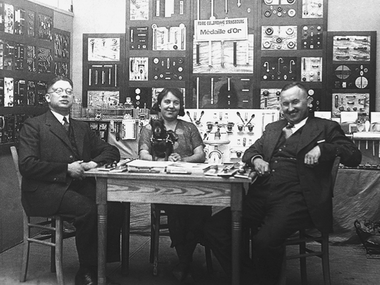 In 1923, when inflation reaches its climax in Germany, two young men (Adolf Häfele and Hermann Funk) take their fate into their own hands: on 1st December they establish the specialist shop for hardware "Products from the hardware and tool industry" in Aulendorf, Württemberg. The fledgling company specialises in joinery and carpentry supplies and moves to Nagold, the former centre of furniture production in Württemberg. From here, Adolf Häfele travels around the area, which is dominated by joineries and furniture factories, notes down the names and requirements of customers and therefore establishes a first regional network. His creed is still extremely important today: personal contact, expert technical knowledge, reliability and requirement-related, fast delivery. 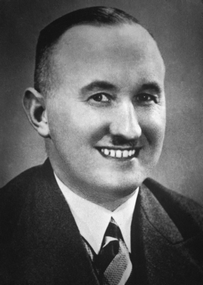 Adolf Häfele established the first wholesale warehouse and organised the distribution of the goods. With innovative products and excellent service, he is ahead of his time and acquires many new customers. Häfele participates in a foreign trade fair for the first time in 1933 and presents "furniture fittings for bedrooms and kitchens" in Strasbourg. The company, which is still in its infancy, receives the "Gold Medal" for the design of the exhibition stand. 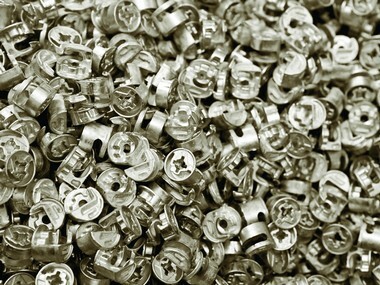 The export of fittings to neighbouring countries is also gathering pace. The first furniture fittings catalogue was published in 1939 with a circulation of 20,000 copies. It is distributed domestically and abroad, and forms the basis for the international sale of Häfele products. The symbolic title picture shows a globe, which becomes the trade mark of the rapidly growing company. Adolf Häfele takes his company safely and largely unscathed through the Second World War. After the end of the war, the plight in the country is great. On the other hand, the reconstruction results in keen demand for fittings and joinery requirements. Things are quickly moving upwards again. 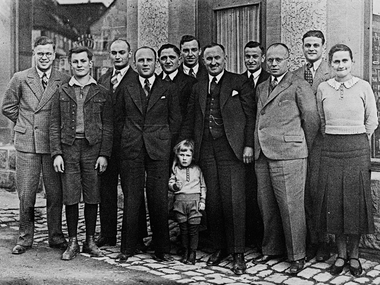 In February 1946, Walther Thierer, Häfele's nephew, joins the company. 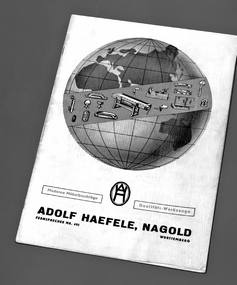 Company founder Adolf Häfele dies in 1949, just four years after the end of the second World War. Right in the middle of the reconstruction efforts in Germany, his 26 year old nephew Walther Thierer takes over the management of the company with the support of the Häfele and Thierer family shareholders. 1950 starts with a catastrophe, which takes a turn for the better: a fire destroys the company building on New Year's night. But Walther Thierer acts quickly: first, a road sale bridges the emergency and the transactions are resumed in makeshift barracks. At the same time, the foundation for today's headquarters in Nagold is laid. The result is a new building with offices and a warehouse space totalling 2,500 square metres. 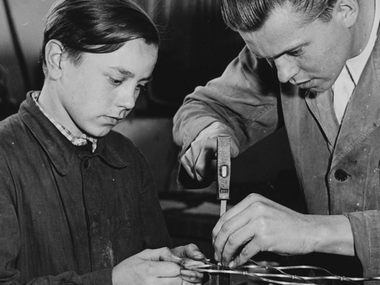 In April 1954, Häfele started his own production of special fittings for furniture ornaments and brass grilles. The demand for the products grows to such an extent within a short time that the production area has to be extended several times. 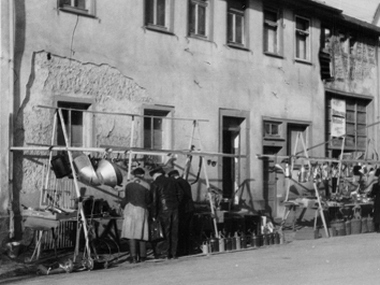 In the economic miracle years after World War II, Häfele initially concentrates on the domestic market. But it's only a matter of time before the company is active abroad again. 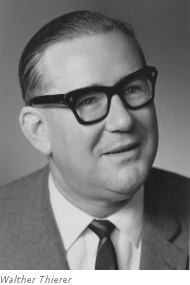 In 1964, Häfele took advantage of the spirit of optimism of the 1960s and founded the first foreign subsidiary in Switzerland. The export department is developed in Nagold and a company-owned sales organisation for France, "Häfele France GmbH & Co." is established. 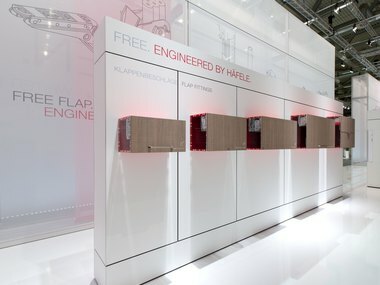 "The Complete Häfele" appears for the first time, the world's biggest reference tool for furniture fittings. The Complete Häfele does not just contain 25,000 items for purchasing, but helps with detailed drawings and assembly instructions – it is not just a reference tool but also a teaching tool. A large exhibition bus makes a 12,000-mile trip through the furniture centres of the USA. 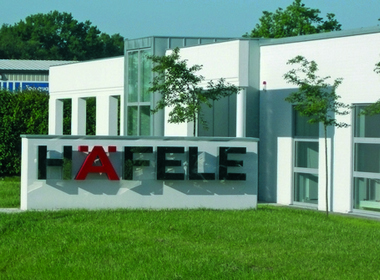 This marks the beginning of the Häfele success story in the United States: Häfele America Co. is founded in 1973 . These mobile exhibits have been deployed successfully in other countries and are often the first step in opening a market. 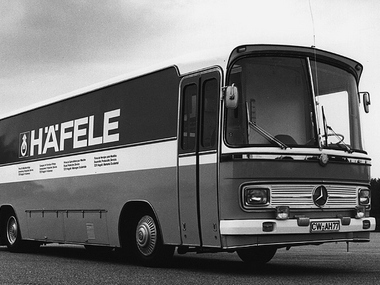 At the beginning of the 1970's, Häfele therefore achieves an export proportion of 40 percent and is one of the pioneers and founders of export nation Germany. 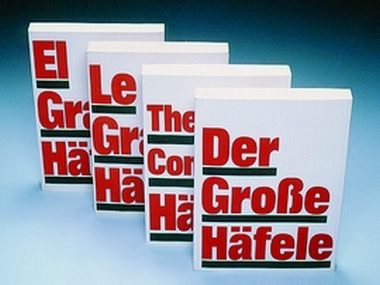 "Der Große Häfele" appears in the global languages of English, French and Spanish under the title of "The Complete Häfele", "Le Grand Häfele" and "El Gran Häfele" respectively. Häfele sets up its own in-house development department. Within a short time, the company builds up a reputation with innovative fittings, and has a long-term influence on furniture manufacturing with its powerful solutions. The same year, the distribution centre in Nagold is ready to start operations, laying the foundation for Häfele's logistics services. 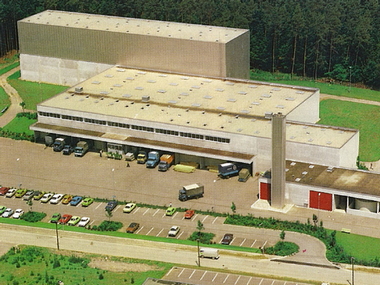 With a high-rise storage facility in which track guided vehicles pick products off the shelves, Häfele was a quick and reliable logistics partner, even at that time. 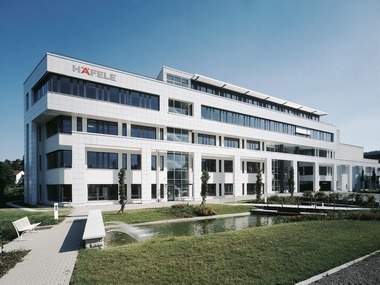 Häfele establishes its third foreign subsidiary in Great Britain. Things then happen quickly: branches follow in Australia, Canada, France, Italy, Ireland, The Netherlands, Singapore, New Zealand, Malaysia, Japan… a real establishment boom occurs. 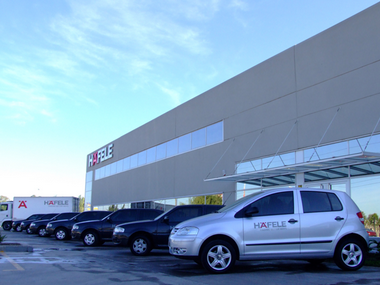 Today Häfele is represented by its own subsidiary or a sales office on every continent. 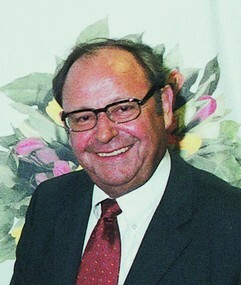 In 1982 Hans Nock, export manager in Nagold since the 1960s, takes over management of the company and becomes the "Engine" of Häfele’s foreign business. Growth succeeds in a reputable way and from the power of the family-run company. The proportion of exports increases to 70 per cent. Because of exact knowledge of the requirements of its customers, Häfele becomes a problem solver in many cases. One such example is Häfele's development of the Minifix connector system with the centric ball principle, which continues to be successful around the world, even today. 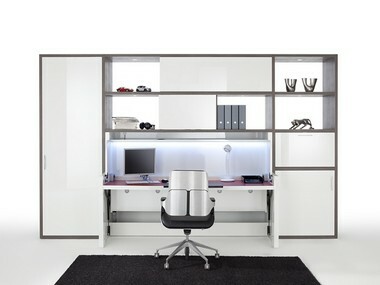 The diminutive Minifix revolutionises the industry and speeds up the development of the fledgling DIY furniture sector. Häfele puts its faith in proximity to the customer from the very start. Visits to partners on site and individual attention are a fixed constituent of the corporate culture. From 1985, investments are made in setting up sales offices in Germany. It's now all about shorter distances to the customer, smaller sales units and personal contact. Integrated showrooms make a visit to the sales offices particularly interesting and are very popular with customers. The main administration in Nagold is also extended. Häfele constructs a new building on an adjacent, 5,000 square metre lot at Adolf-Häfele-Straße 1. Today, a large and modern showroom, conference rooms, offices, the data centre and a test workshop are located in the award-winning building. The company strategies are developed in Nagold, and the product ranges are selected and documented. Central IT is located here, and from here, the global sales organizations are controlled. The flood of establishments wave covers the entire American continent. It is started in 1997 with a subsidiary in Mexico. Brazil follows in 1998, and Argentina in 1999. Whilst the last "Häfele-free zones" on the map of western Europe are being acquired at the end of the 1990's and the beginning of the new millennium, the company is sending out feelers to eastern Europe and China. 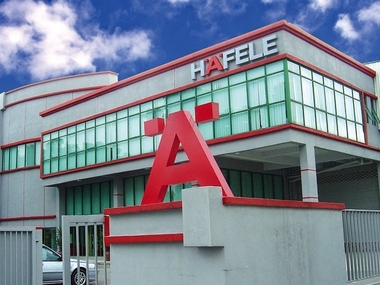 In 2002, Häfele establishes the first eastern European subsidiary in Poland. Turkey and China follow in 2005; Russia in 2006; Ukraine and Romania in 2009; and Kazakhstan, Serbia and the Czech Republic in 2010. 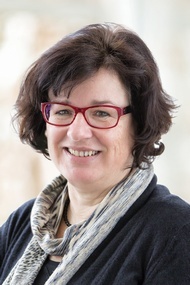 Sibylle Thierer, daughter of Walther Thierer, takes over the responsibility at the beginning of the new millennium in the third generation. She paves the way to modernity, putting the focus on the use of innovative ideas and products in all decision-making. Häfele's 360° Project Service has been the basis of ongoing, successful business with architects, investors and builders since 2006. 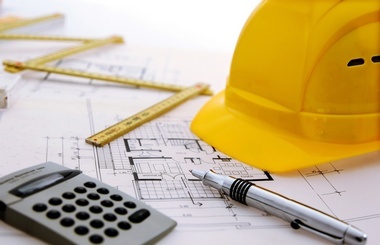 It encompasses manufacturer-independent procurement of architectural hardware and project fittings, the "StarTec" product range, the Dialock electronic access control system, countless planning manuals, and international project coordination by Häfele project managers. Häfele goes in new directions with the marketing strategy of "The Innovator of Functionality". "Functionality" becomes the seal of quality with which cabinet maker and joiner solutions can distinguish themselves with optimum functionality. 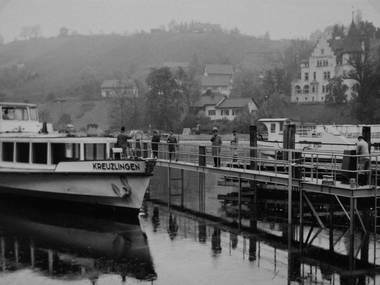 The "Functionality World" exhibition opens in Nagold in the same year. The first edition of the "Häfele Home" magazine appears two years later, with innovative furniture and living ideas. The magazine inspires designers, architects, cabinet makers and joiners. Following the 360° project service on the construction site, Häfele bundles sales to the furniture industry in the newly-established industrial sales organisation Häfele Engineering GmbH & Co KG. It focusses exclusively on the requirements of the furniture industry –along the entire value creation chain. With a company history of more than 90 years, the Häfele family company is a global leader with regard to furniture fittings, architectural hardware and electronic locking systems.